Select https://www.googleapis.com/auth/userinfo.profile from Google+ API v1 and click on Authorize APIs. 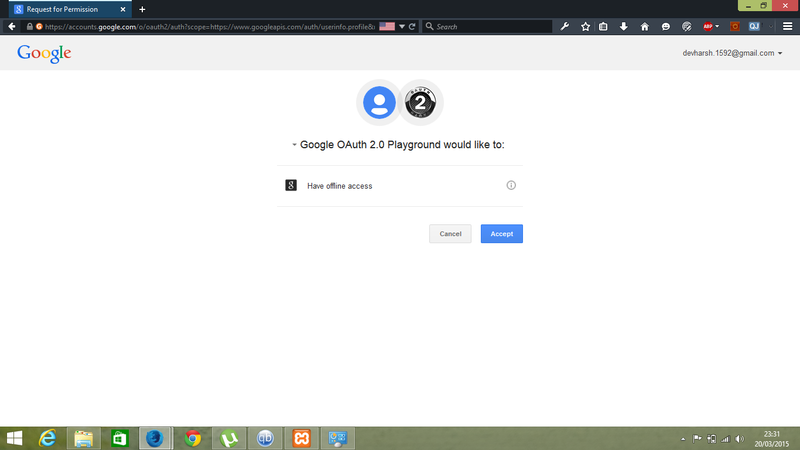 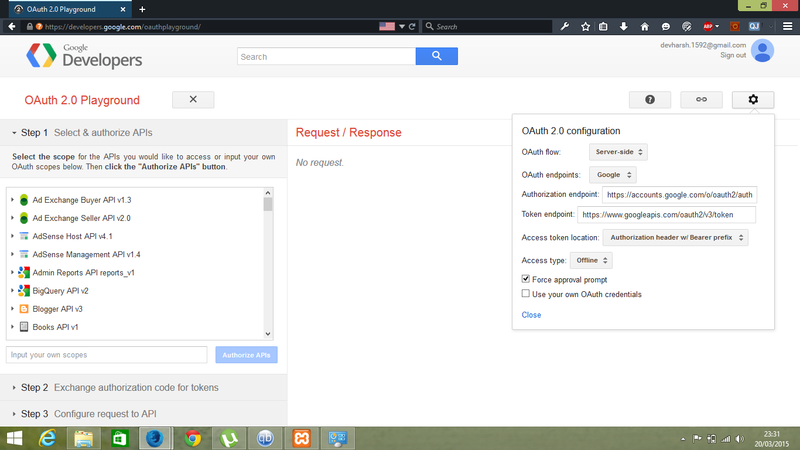 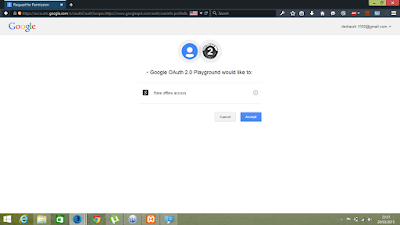 Click Accept to grant permissions to Google OAuth 2.0 Playground service. 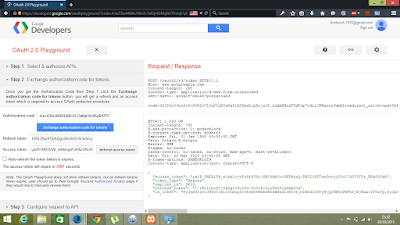 Observe that Authorization code has been generated. 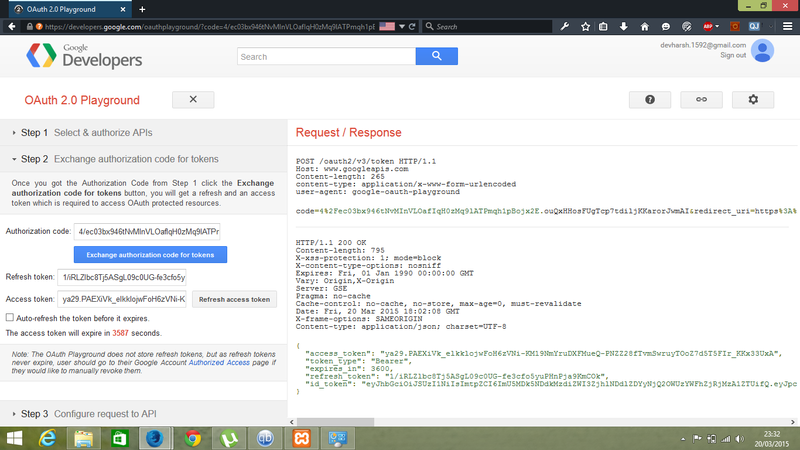 Click on Exchange authorization code for tokens buttons to generate Refresh token and Access token. 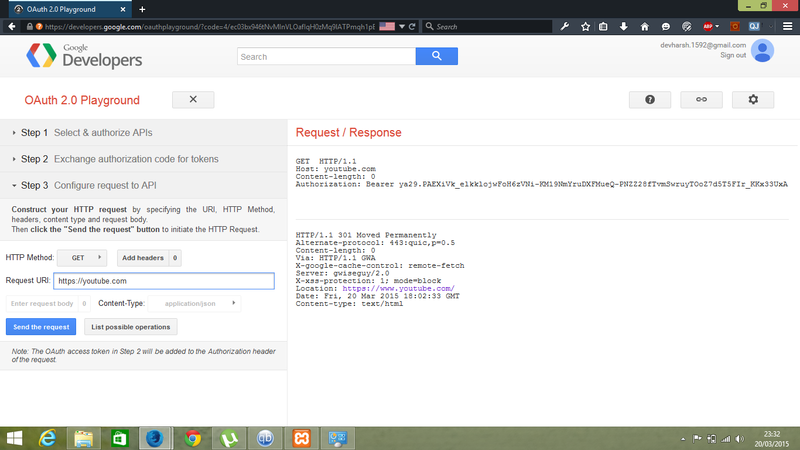 Observe expiry time for access token. 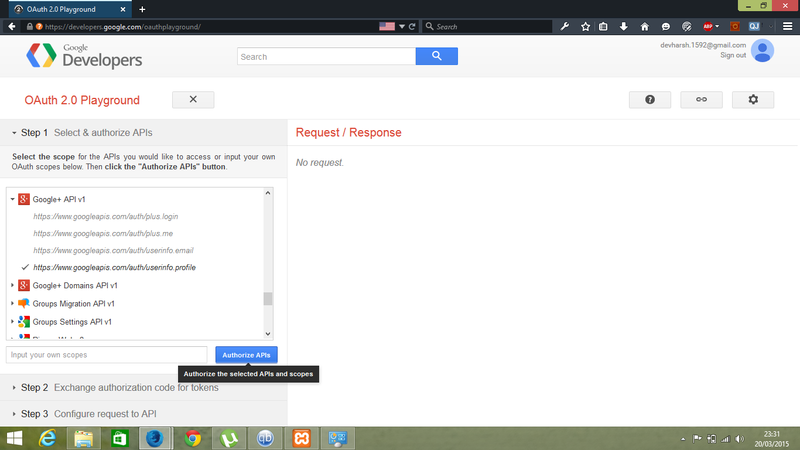 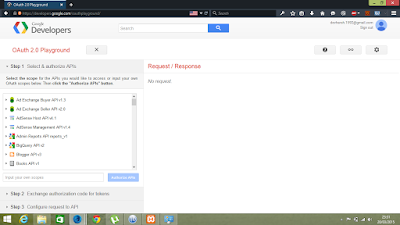 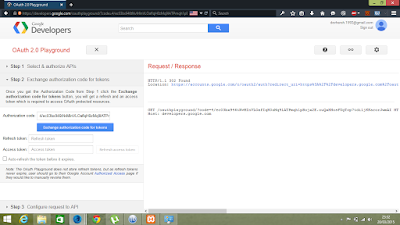 Request URI has been passed is youtube.com and you can see HTTP GET Method response. 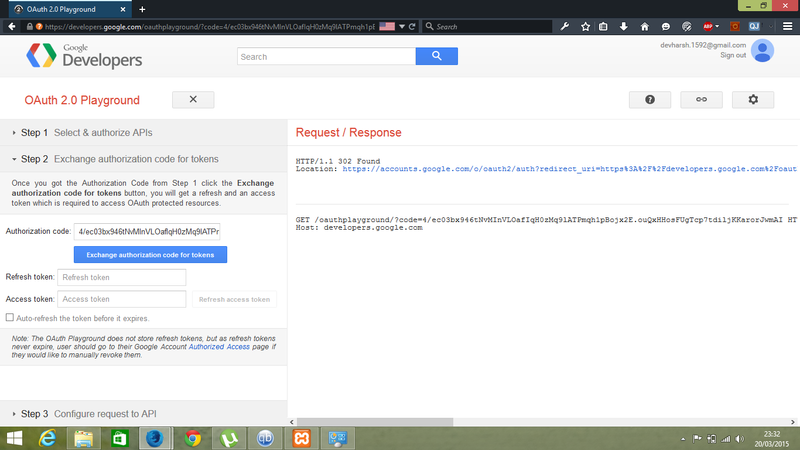 Setting Request URI as https://www.googleapis.com/oauth2/v2/userinfo will give the user info.